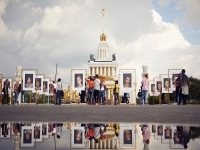 USPA NEWS - At VDNKH Plaza, Outside a Football Stadium in Moscow, a Set of Photos featuring Diverse Skin Colors caught the Eyes of Visitors. This is a Charity Art Exhibition themed "NO COLORISM" hosted by BeautyCam, a Facial Beautification Camera App, in Russia, during the World Cup. 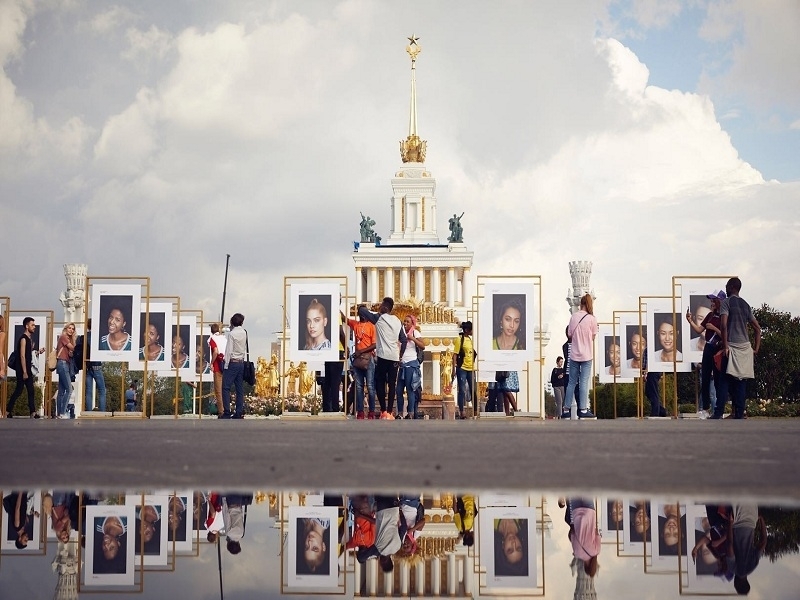 At VDNKH Plaza, Outside a Football Stadium in Moscow, a Set of Photos featuring Diverse Skin Colors caught the Eyes of Visitors. This is a Charity Art Exhibition themed "NO COLORISM" hosted by BeautyCam, a Facial Beautification Camera App, in Russia, during the World Cup. In the Summer of 2018, the Passion of Football Fans from around the World swept over Russia. In the Exciting Tournament, where a Sport replaced Conflict, Elite Footballers came together to compete on the Pitch, regardless of Differences in Skin Colors. As the Head of BeautyCam put it, Football is about Skills and Fair Play, not Skin Colors - which coincided with their Concept of "NO COLORISM". That's why they held the Exhibition at VDNKH Park Plaza in Russia on July 11. BeautyCam hopes the Message would resonate with the World. Football Fans of Different Skin Colors stopped by to admire the Exhibits on Display. Almost all the Photos on Display had been contributed by Football Fans through Invitations put out by BeautyCam. BeautyCam was inspired to launch this Campaign after observing that "Becoming Fairer" seemed to be the Sole Standard of Beautiful Skin. Who says that those Confident Players with Tanned Skin running in the Sun are not Attractive ? Diversity is what makes the World a Better Place. Dark or Fair, every Skin Color is Beautiful. The BeautyCam App has launched a "NO COLORISM" Image Filter with Four Different Skin Colors from Fair to Dark : Porcelain, Warm Beige, Honey and Cinnamon. As soon as it was launched, the Campaign received Encouraging Responses from Fans from around the World. Notably, many Chinese Pop Stars, such as Chen Yihan, Yang Zi, Liu Xuan, Zhang Zhehan and Luo Yunxi, have enthusiastically participated in the Campaign, calling for more People to show their Support for NO COLORISM. "No Matter what the Skin Color is, Beauty touches all of us the Same Way."